During President Obama’s landmark trip to Cuba in March 2016, great fanfare was made of US businesses including AirBnB and Starwood Hotels. However, left unsaid was the progress of Stonegate Bank. 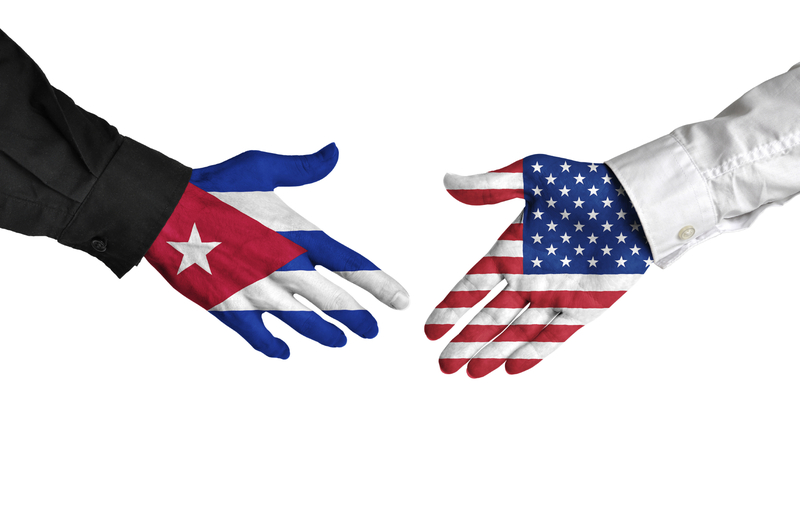 The firm made a historic announcement back in November 2015, becoming the first US financial institution to legally enter the Cuban economy in over 50 years. Stonegate Bank is the only United States bank in Cuba, and is blazing a path for other firms to follow. Stonegate bank is a leading South Florida bank with many Cuban-American clients already. The bank has 21 locations throughout the region that can serve its client base in person or online. It has over $2.3 billion in assets and almost $2 billion in deposits. While it is not a major national financial institution, it is one of the bedrocks of Southern Florida. Stonegate has traditional checking, savings and commercial accounts. It also offers a full suite of Wealth Management products and loans. Lastly, it has a card services business and issues both credit cards and debit cards. It is in the area of card services that the bank is using its expertise to enter the Cuban market. In particular, Stonegate has received permission to issued a Debit MasterCard that is compliant with the electronic payment systems in Cuba and is linked to the account holder’s US bank account. The card is compliant with over 10,000 Point of Sale (POS) terminals in Cuba, allowing the user an amazing variety of purchasing options. Those POS terminals are in bars, restaurants, hotels and every day merchants. There are a few minor restrictions. First, US cardholders will initially have to sign for each and every purchase that they make at those POS terminals. Cardholders can only legally use the card if they are in the country legally. That means they are visiting Cuba within one of the 12 categories authorized by U.S. regulations. Their visa must be legal and they must be travelling on a valid passport. Currently, US cardholders cannot use the cards to withdraw Cuban currency from local ATMs. However, Stonegate plans to add this service by the end of 2016. More options such as credit cards and other financial products could be on the horizon in the years ahead as well. As long as the Cuban financial infrastructure continues to be built out, Stonegate will follow with additional financial services. The US government led by the Obama administration signaled its opening to Cuba in 2015 in a deal brokered by the Pope. In March 2015, the government technically lifted restrictions on some financial institutions from conducting business in the country. However, it wasn’t until November that Stonegate made the first leap into the country. The Cuban economy is currently experiencing a bit of reform. The country’s long-time patron Venezuela has been badly damaged by the collapse in oil prices and soaring inflation. As Venezuela loses its ability to subsidize the Cuban economy, the country began looking for other options. Sitting just 90 miles from the world’s largest economy, the opportunity was obvious. At the same time, the Obama administration has been trying to end long-time hostilities that don’t provide a net benefit to the United States. Cuba, which poses no threat to US citizens and has many cultural ties was an obvious place to start a reconciliation process. As the country begins to open more, Stonegate and other banks may offer additional services there. They may even bring traditional wealth management and investment products as a middle class begins to form. Only time will tell. Banks.org provides consumers with tools to better navigate the maze of modern-day personal finance. Consumers unhappy with their current bank’s fees or rates can visit Banks.org to compare savings and money market accounts offered by other banks.